Following his success as a personal agent, Jack opened a high street branch in 2012 on Street Lane in Roundhay. Jack has built an extremely experienced team at Hunters Estate Agents and Letting Agents North Leeds specialising in Sales, Lettings and Management and have recently began offering buying services to investors and refurbishments for Landlords among other property services. Jack was born in North Leeds and has lived there his entire life; his in-depth knowledge of the area, the local housing market and its communities are a large factor in the excellent service on offer. Jack began his career working at property auctions as a runner and doing weekend work for other estate agents while studying. 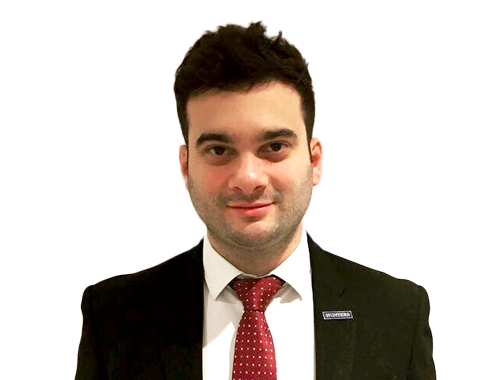 Jack now has over 12 years’ experience selling and renting property in North Leeds. The Hunters Estate Agents and Letting Agents North Leeds office covers the Alwoodley, Shadwell, Moortown, Roundhay, Oakwood and Chapel Allerton suburbs of Leeds. The area represents a wide variety of different communities, religions, ethnicities and nationalities, and the diverse nature of area creates a rich tapestry of cultures making it a brilliant place to live and work. The main focus of any Hunters branch is service and making the experience easy and enjoyable for clients and customers. Hunters Estate Agents and Letting Agents North Leeds have maintained a 100% customer service record since opening in 2012 and their online reviews speak for themselves. Click to view preferred suppliers for Hunters North Leeds. VAT Reg No: 144 1600 50 | Registered No: 08189809 | Registered Office: 82 Street Lane, Leeds, LS8 2AL. A Hunters franchise owned and operated under licence by North Leeds Limited.